Saridhoti with its love for handlooms in Kanchipuram, started helping people to add the beauty of handlooms to their wardrobes. With an impeccable collection of unique sarees, dhotis and accessories, Saridhoti began a small home-based boutique in John’s Creek, Georgia. The company began in the year 2003 and now it has reached several homes of USA through its online store. 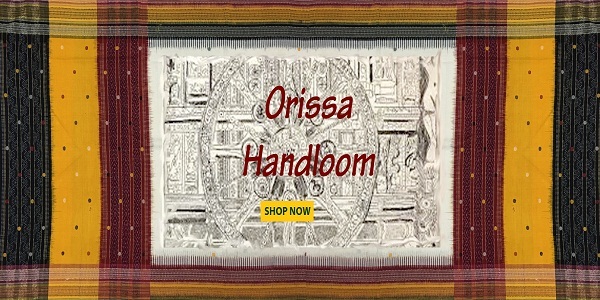 Different kinds of other handlooms are also added in the product list over the time to provide the customers with the best collection of sari and dhoti. Wedding bells are ringing all over and when it comes to Indian wedding dresses, there are so many choices. Designer lehengas, sarees, gowns, girls can look their best in different kinds of dresses available in interesting hues and embroidery. Here’s the ultimate guide to Indian wedding fashion for the bride. As wedding is one of the most important events for a woman, she wants it to be perfect. From designer clothes, shoes, jewelry, and even make up, bridal fashion in India is going through a plethora of changes. Every year, beautiful hues are introduced to match with the dusk Indian beauties. It is no longer about heavy and uncomfortable work. This year, brides are looking forward to elegant and sophisticated styles. The big bold embroidery has been replaced by delicate motifs. The red color has lost its sheen and it is now replaced by different pastel colors soothing to the eyes. As the proverb says, “old is gold” silk has always dominated the market. 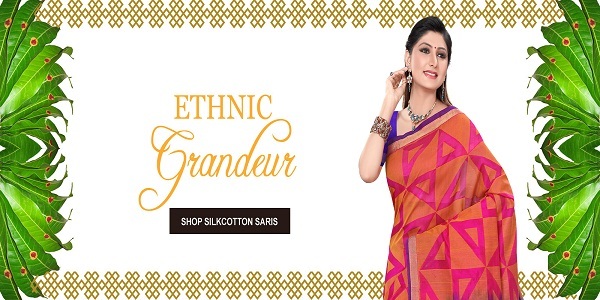 Silk sarees are known across the globe for their grandeur and extravagant display. The intricate designs have always taken pride in their exquisite brocades and hand woven silks. It is must have in every women’s wardrobe, especially married women. 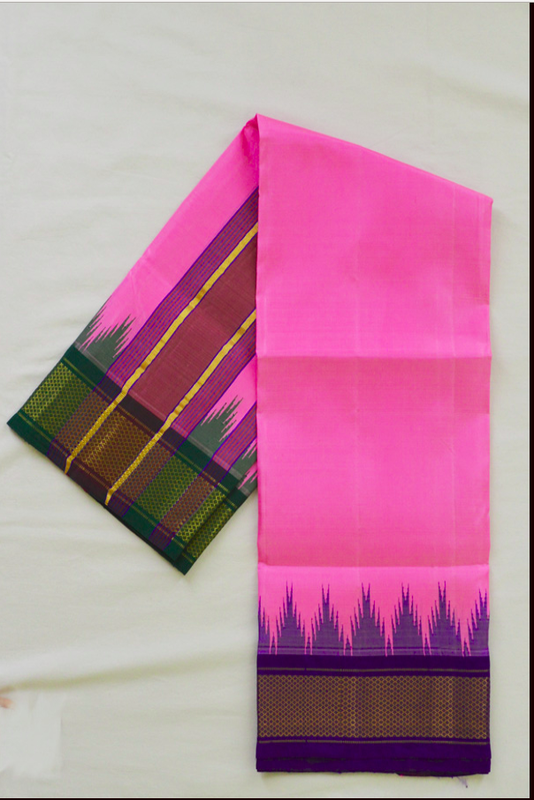 However, Kanchipuram’s weaves have always known for their unique bold colors and beautiful designs. They are known for their gold and silver intricate thread work. Usually the designs involve flower motifs, petals, and other intricate designs. Nowadays people are buying silk sarees online. People who are not aware of the shops from where to buy their silk sarees can always go online as plenty of options are available. Choosing from the beautiful designs, hues and patterns available, one can look perfectly beautiful on their special day. India is a nation that has struggled to see beyond it's fears and depressions. It has often been called one of the greatest nations that are diverse in their religion, language, clothes, customs, festivals and traditions. It is famous and well known amongst the tourists and the nomads of the world. It welcomes travellers with a difference in its cultures and geographical background. There are various intricate destinations that people have explored and see whilst on their travels to India. It is one of the best rewards a tourist gets to see during their travels to the nation. Rajasthan the biggest, most popular states of India has claimed to be one of the most famous destinations in the world. The state is well known for its monuments that include the fantastic forts, elegant palaces, terrific temples, splendid havelis and prosperous museums. It is a state filled with wildlife and deserts. The Ranthambore National Park has been one of the biggest sites or places tourists have come pouring in to see. The state of Rajasthan sees it's people wear Kanchipuram Silk Sarees and dhotis. Himachal Pradesh has been one of the most elegant places for an assortment of beauties and tourism. It sits on the foothills of the Himalayas. Goa often called the city or town of beaches is one of the tiniest states of India. It is the perfect place for the most homely vacation in India. India has sheltered all kinds of historical monuments like forts, palaces, Portuguese buildings, temples, mosque and intricate churches and convents. Kerala has been one of the most peaceful elegant places in the nation. It is well known and blessed with a range of amazing beaches, forested hill stations, rich flora & fauna, serene & scenic backwaters, luxury houseboat, Ayurvedic resorts, traditional villages, historical places, monuments and temples. Every nation or state in India is well known for their monuments and historical sites. States like Delhi, Kolkata, Agra, Jaipur, Mumbai, Hyderabad, Bangalore, Mysore, Hyderabad and Trivandrum are well known for monuments like the Red Fort, Qutub Minar, Humayun's Tomb, Lotus Temple, Akshardham Temple and India Gate. The weavers back in the olden days, would sit at the temples wearing a dhoti, in front of their hand-looms weaving for hours with a word out their mouths. It's always been an absolute delight looking at every inch of India in its complete glory. It's a rare opportunity where people are given the chance to explore the backwaters as they travel along in their houseboats. Kerala is a gift given to people by God. It is a state that has been blessed with serene beaches and the perfect backwaters. India has always been the perfect heaven for the shopaholics as it gives of the symbols and sweet sounds of the traditional ethnic clothing and every designer cloth is found over here. A state like Rajasthan has always enjoyed showing people it's palaces, forts and wildlife. People are prone to wildlife and are always interested in looking at how the animals live within their minimum basic. The men and women of Rajasthan are different and unique from the rest and have flaunted their differences with pride. The clothes seen worn range from Kanchipuram silk sarees to simple pajamas. The Indian fashion is a combination of western and Indian clothing. Today's generation believe in following the western attire that include wearing tank tops, gowns, dresses, trousers and jeans. The world has always been in awe of India and its diversity. Countries like Pakistan, the women and men do not have a choice in clothing. According to their religion or the tight ship that they run, women are covered from head to toe and are only allowed to show their eyes. The men on the other hand are given a leverage and are allowed to wear white pajama kurtas and a hat on top. The men are allowed to show their faces in public. The southern part of India, like Tamil Nadu has a different story and side to it. The men are seen wandering around in a dhoti. The entire country or state is seen eating their meals on banana leaves which is a part of their custom. Tourists are always fascinated at how the south Indians eat and at the way they live in peace and harmony. There's always a lot more to just food and clothing. The snow covered mountains, the hill stations, the historical monuments and other historical structures have ben laid out for tourists to see and appreciate. Mumbai is one of the most crowded cities in the world and is one of the biggest fashion statements. The city has all the fashion shows and all the designer studios and warehouses where all the gowns and dresses are designed and created. The threads and the textures are dipped and soaked in gold and silver. Every clothing line from all over the world reflect upon the richness in culture and colors. When thinking about colors, Punjab is the city that comes to mind. It is a land of rich festivities and hues. Whatever the fashion or life, things are always happy and colorful. Indian Punjabi suits and dresses include salwar kameez and Patiala salwar kameez that gives the body a whole new comfort level. For a simple day out, wearing a kurta and a black salwar is perfect. Completing the look with a phulkari dupatta and simple pearls says it all. Women are constantly trying new looks and are always choosing the best in the clothing line. Punjabi suits in shades of neon, pastel and black that are decorated with simple chiffon dupatta with unique designs give out the perfect summer look. Every Indian dress or suit has gone through a drastic creation from the former vogue dhoti and harem pants to the sentiments of semi or full Patiala salwar pants. Bold and loud colors make the perfect Punjabi suits quirky and interesting. Salwar Kameez is one of the most common attires women all over the world wear and has gained international popularity as well. The level or standards of accessorizing suits are pretty high from the surplus over-excessive styles of neck decors to the deep cuts in the basic dress and length of the sleeves. The fashion line has an assortment of styles accessible including A-line Kurtis, Anarkali styles and frock style kameez. When it comes to the decor, bracelets are the most significant and attractive jewellery pieces that are perfect for every Indian wedding. 'Chura' are the perfect set of 21 bracelets in both red and white that are always worn by the Punjabi bride as per their traditions. Talking about traditions, the south Indian outfit or dress for a wedding has always been the Kanchipuram silk sarees. Heavy jewellery and necklaces are a part of every bold and loud cultures in India. Contemporary and light fashion ornaments are often worn with a dhoti as well for most weddings and occasions. Sarees are the only one's in the limelight.The Phulkari is presented in an elegant format on the Punjabi dress and suits. Shades of red and pink look perfect when it comes to dressing up for a wedding, the myriad of colors accessible in the market have often spoilt people for choices. Bollywood actress wears saree mostly as an outlook to express that they are real divas Of Film Industry. They show that in saree also they can look as beautiful and graceful as in modern clothes. Indian culture of wearing saree is not limited to Indian it is exceeded to western Civilization also. Now a day’s western women wear saree as a challenge to look as smarty and gorgeous as Indian Women look after wearing in event in India or abroad. Indian actress like Madhuri Dixit look stunning while wearing saree, she carries sari in a manner like earlier heroines do. Recently she weared saree in a TV show Jhalak Dhiklaja. 1. Now starting from Nivi style, in this type pallus are not pinned. The front portion goes to left and the back portion comes at front position. 2. Modified two shoulder khond wooden saree in this style of saree it is six yard saree with some pleats in the front which will make easy to walk. The cape part is short. 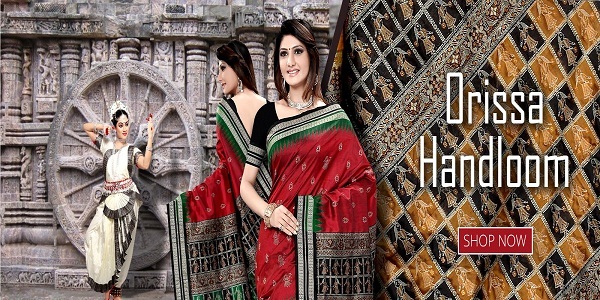 Sari is one of the most fabulous attire for Indian woman who makes a woman completely sensible, give a sense of modest and attractiveness to the woman. The style of fabric varies from region to regions. 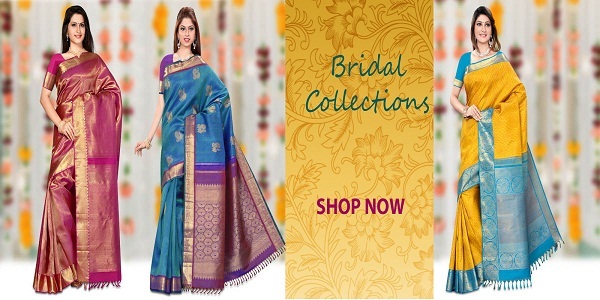 Over three thousands stores are available for shopping online and direct shopping from saree Gallery. 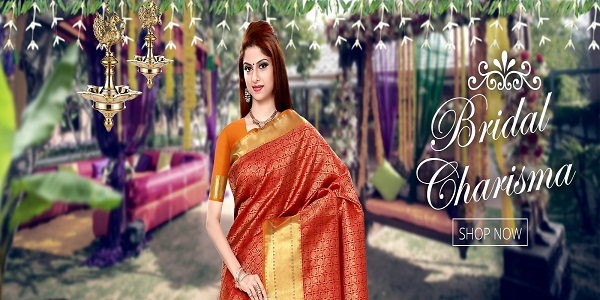 There are many types of saree were in India such as Kanchipuram silk sarees also known as kanchiwaram saree, Georgette Saree, Bridal party wear saree, Bridal Lehenga style saree, contemporary saree, Net saree. 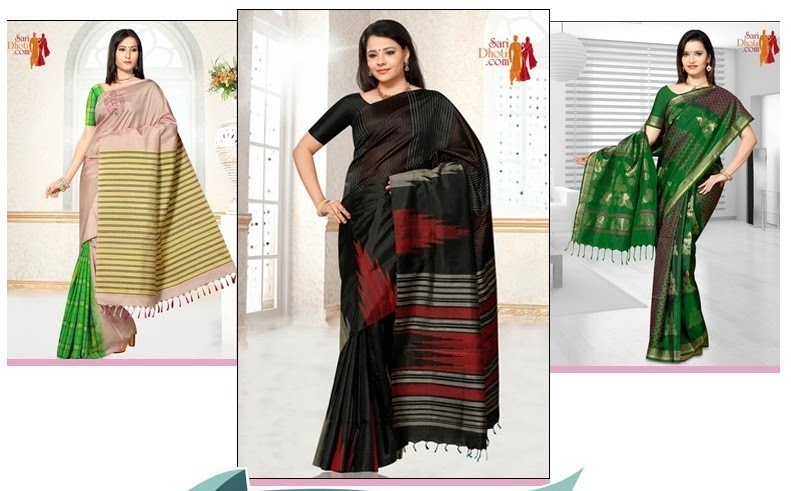 There are many kinds of modern sarees. Some are designer sarees, Bollywood Modern Sarees, Fancy Modern Sarees Fashionable Modern Sarees, and Printed Sarees etc. In Indian society there are many kinds of Occasional sarees present. Embroided saree, Wedding saree, Bridal Saree, Exclusive Hot Sarees etc.